Pro-Fit is able to deliver the following programs on-site either within your office or at a nearby park. These at-work classes can also run throughout the year to provide your staff a year’s worth of healthy choices rather than quick fixes. All these classes can be held both indoors or outdoors. Pro-Fit have designed a class perfect for the work environment. This class mixes traditional Yoga, Pilates and strength workouts into one. A very popular lunch time class as it only takes 45 minutes and will not leave you all sweaty for your return to work. 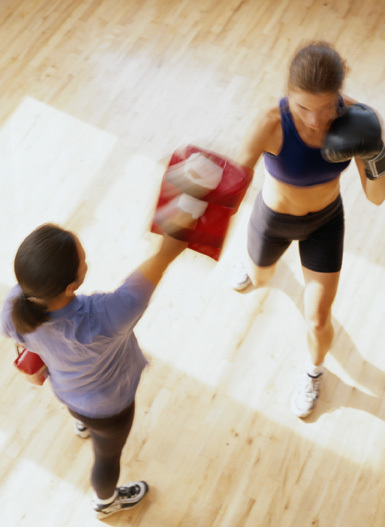 Our Boxing classes are a non-violent, non-threatening workout that is great for those wanting to improve strength and cardiovascular fitness. Fantastic for stress relief and can be tailored to all ages and fitness levels. Our extremely popular BootCamp program can be held on-site for your own company. BootCamps build team morale and get you up and moving first thing of a morning, therefore boosting your metabolism and helping you burn more energy. Great for building team morale. Our circuit classes involve all the body’s energy systems and train all areas of the body. We bring in all the equipment to run a circuit that covers cardio, strength, flexibility and agility all in a 1-hour session. Great fun and produces great results. Classes can be corporately funded or user pays.